If there's one red I'll always go to, it's MAC Ruby Woo. 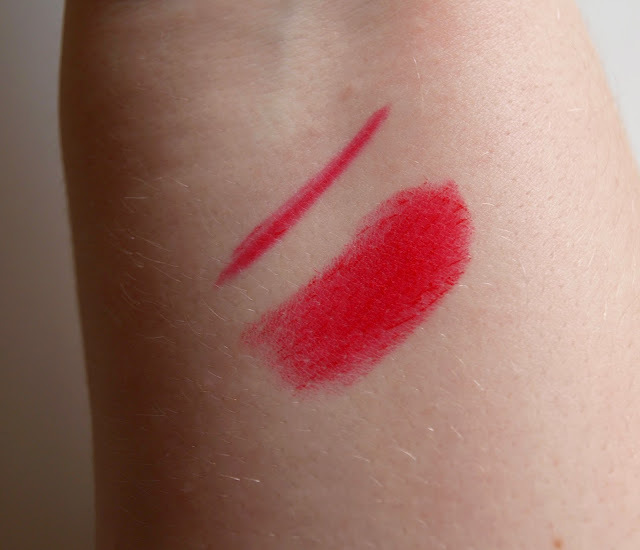 I know it's drying and can be hard on the lips without proper exfoliating and moisturising before hand, but it's the perfect red for my skin tone and I absolutely love wearing it. Unfortunately, for absolutely ages there was no proper lip pencil to match. 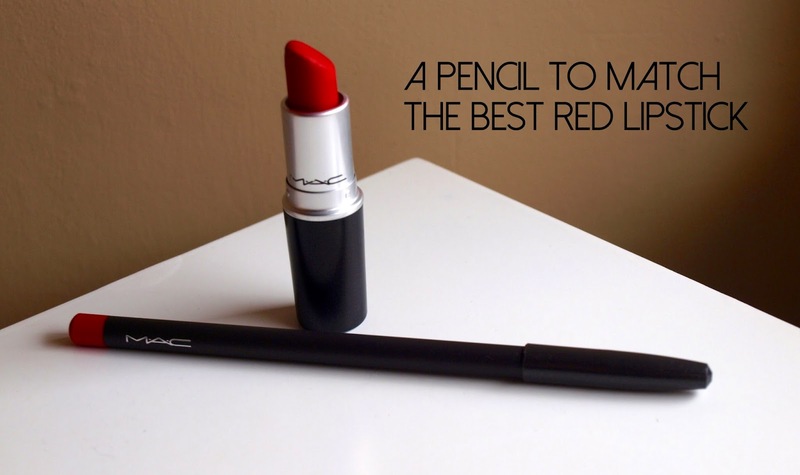 With someone as bold as red, I think a lip pencil is vital and so I used to use MAC's High Energy which was quite a bright red, and a little more orange than Ruby Woo was. They worked together but now MAC has released their new 'penciled in' range which comes with exact matches for popular lipsticks in the collection such as Heroine, Candy Yum Yum and Cyber. The new pencil in Ruby Woo is a really good addition if you are an avid red lipstick wear like myself. I absolutely love it. 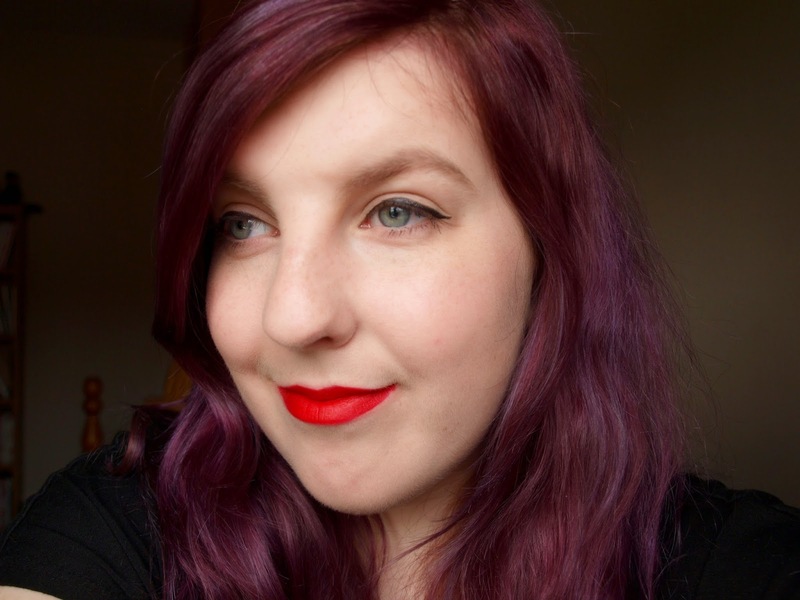 It doesn't really make Ruby Woo any easier to apply, however it sets the lipstick up to make it more long lasting, and I find it to be a truer colour with a base underneath aswell. I really like the pencil style from MAC, which I honestly don't know if it's a new addition as my other lip pencils have the black pencil type which makes it quite awkward to sharpen sometimes. As you can see from the swatches above, the colour is identical. The thin line is the lip pencil and the chubby line is the lipstick. The pencil is definitely more creamy than the lipstick is and it's easier to apply to the lips aswell. You can get a really defined, bold line. 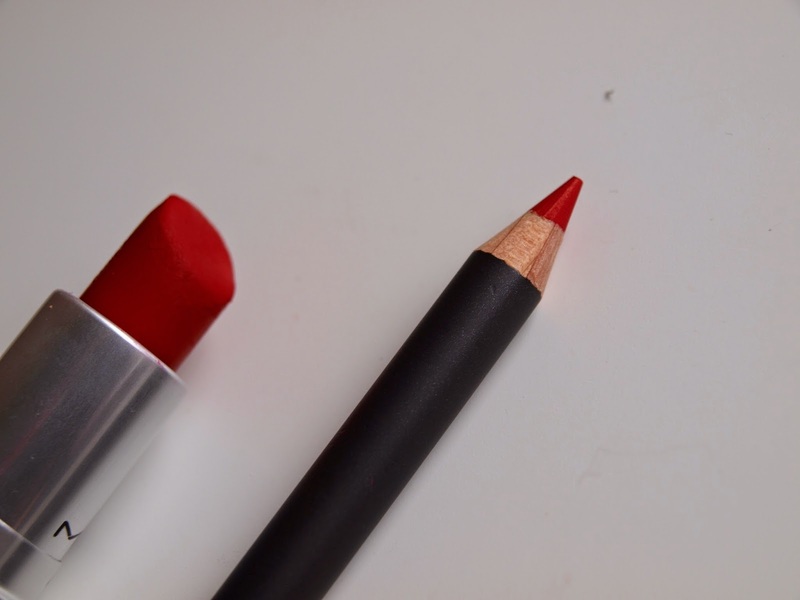 The above picture is just the lip pencil itself. And now above is a picture of both the liner and the lipstick on the lips. 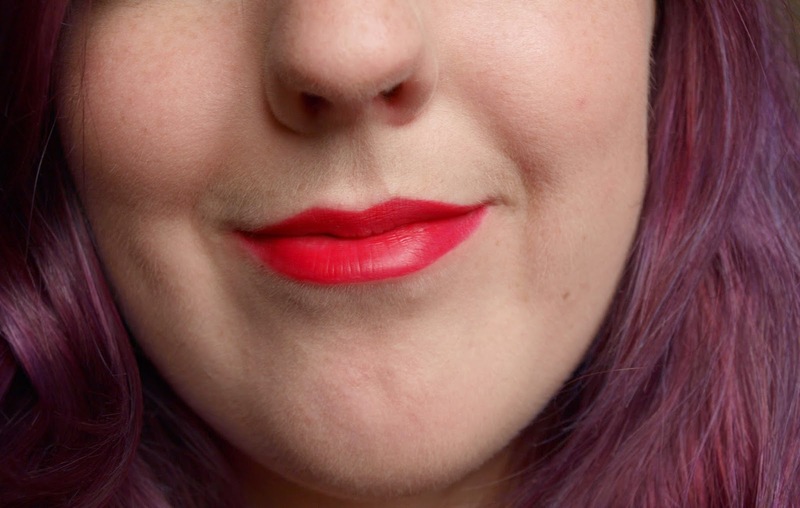 As I said, you get a really true, bright bold lip. I absolutely love it. You can buy the lip pencils here. What is your favourite red lip? I'm Emma, a 23 year old from England. I love film, beauty and homeware. I hope you enjoy my blog. If you have any comments/requests please email ememememma111@gmail.com. Beauty, film and lifestyle blogger.